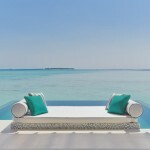 NIYAMA is the epitome of contemporary chic. Located 40 minutes from Malé by seaplane, this resort is a fusion of innovation and traditional island life. Vibrant restaurants and an underwater nightclub make an appealing contrast to the white beaches and crystal clear waters of the Indian Ocean. 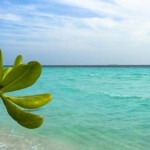 Your Maldives holiday at NIYAMA will be full of surprises. Boredom simply does not exist in the NIYAMA paradise. 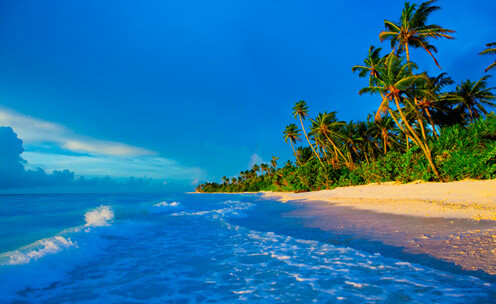 Spend your days basking in the sun underneath a swaying coconut palm tree, treat yourself to pampering in the LIME Spa, discover fascinating marine life, dance until the sun welcomes a new Maldives morning… This resort is simply Maldives with a twist. NIYAMA is the ultimate resort for those young at heart – making Maldives holidays more exciting than ever. The Beach Studio (135 sqm) with its lovely open-air bathroom and private terrace facing the Indian Ocean makes you feel as one with the tropical island. The Beach Studio features a stunning bright interior, a waterfall, private deck and a sunken tub to relax in. Exclusive Beach Studios with private pools are also available. 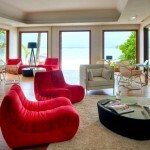 The Water Studio (175 sqm) is a charming spacious studio built above the turquoise ocean. 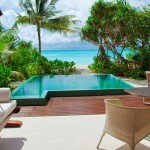 Its main feature is the private pool where you can bask all day long in the warm sunshine. You also have a private outdoor deck with loungers. 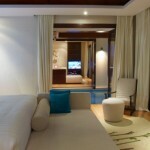 The Deluxe Water Studio (190 sqm) is a more exclusive version of the Water Studio. Featuring an expansive outdoor area with loungers, a spectacular pool and a Jacuzzi, you will want to spend all day long outside. Modern, luxurious interior combined with incredible ocean views make the Deluxe Water Studio a romantic choice for a Maldives holiday. The Beach Pavilion (400 sqm) is ideal for families. 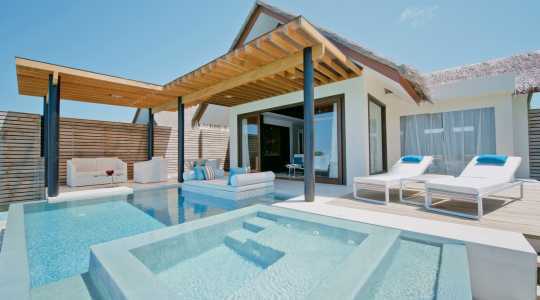 This accommodation is pure indulgence with its expansive infinity pool, Jacuzzi tub and sensational daybeds. Guests in the Beach Pavilion have private access to the glorious beach. Indoor and outdoor dining areas, as well as a lush outdoor bathroom, add a luxurious feel to the Beach Pavilion. Whilst you are here sit back an enjoy the tranquillity and personal 24-hour butler service. The Water Pavilion (340 sqm) will make you want to stay at NIYAMA forever, with its overwater infinity pool, Jacuzzi, personal Thakuru and elegant interior. A Teppanyaki grill is included, making for wonderful In-Villa dining experiences in the dazzling sunset. The Two Bedroom Beach Pavilion with Pool (635 sqm) is ideal for larger families. This accommodation is pure indulgence with its expansive infinity pool, Jacuzzi tub and sensational daybeds. Guests in the Beach Pavilion have private access to the glorious beach. Indoor and outdoor dining areas, as well as a lush outdoor bathroom, add a luxurious feel to the Beach Pavilion. Whilst you are here sit back an enjoy the tranquillity and personal 24-hour butler service. 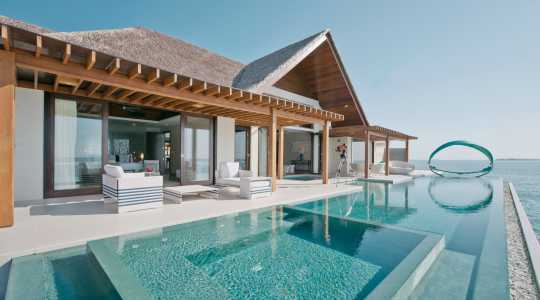 The Ocean Pavilion (515 sqm) includes two stunning bedrooms and ‘extra everything’. It is uniquely designed in contemporary style and features an infinity pool, Jacuzzi bath and direct access to the lagoon from your private sundeck. The Ocean Pavilion lives and breathes indulgence so if you’re looking for the ultimate Maldives holiday, this is where you will find it. 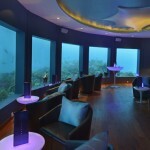 NIYAMA boasts amazing indoor and outdoor facilities aimed to make your Maldives holiday blissful and fun in every way. How about a cosy lounge with books and magazines, a game centre with Xbox, PS3 and simulators, and a 24 hour fitness centre with personal trainers? Whether you are travelling with your family, friends or loved one, everyone can be sure to find a variety of activities suiting their specific holiday needs. 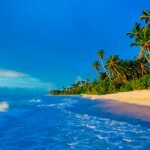 Why not go for exciting dives in the magic Indian Ocean and return back home with a PADI certificate? Another way to experience the marine life surrounding this tropical island is to go on one of the snorkelling excursions. No Maldives resort is complete without watersports, and NIYAMA is no exception. 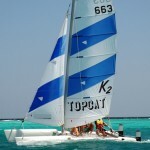 Here you can try jet skiing, waterskiing, catamaran sailing and other thrilling water activities. End the day with a dhoni boat trip in the sunset, or maybe letting your hair down with a cocktail or two in the underwater nightclub… NIYAMA will let you truly unwind and enjoy a relaxing Maldives holiday. LIME Spa incorporates earth and sea elements in its healing treatments. This is your chance to unwind and recharge with the help of aromatherapy and physiotherapy, executed by skilled spa therapists. Set on a stunning part of the island, the beauty of the surroundings will help create a peaceful atmosphere for your visit. Exciting flavours in unique venues… NIYAMA never fails to impress. With several exceptional restaurants to choose from, you are spoiled for choice. In addition, the Destination Dining and the underwater nightclub make for truly unforgettable evenings. 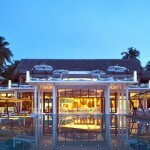 Epicure is the beachside main restaurant of NIYAMA which offers an international menu with tropical touches. There is also a wine cellar – do sign up for the professional wine tasting sessions. The Deli is where you can pick up delicious gourmet snacks. Dune offers tropical cocktails by the pool. Enjoy a chic drink with your loved one before you head off to dinner. Fahrenheit is located on a rooftop, making for amazing ocean views. Sip on a unique cocktail and soak up the relaxed atmosphere. Tribal is island dining at its best. Indulge in South American and African flavours in front of the camp fire for a dinner with a difference. Edge is an exclusive restaurant only accessible via boat. How about an amazing sea view to go with your freshly caught seafood? Subsix takes clubbing to the next level. As the world’s first underwater night club, this is the ultimate place to dance all night to International DJs – surrounded by tropical fish. Simply Maldives Holidays offer a Bed and Breakfast package, a Half Board Package and a Full Board Package to guests staying at NIYAMA. 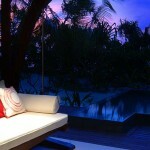 One complimentary bottle of champagne, special honeymoon turndown and a 60 minutes couple massage. •Minimum length of 4 nights stay in all villa type.